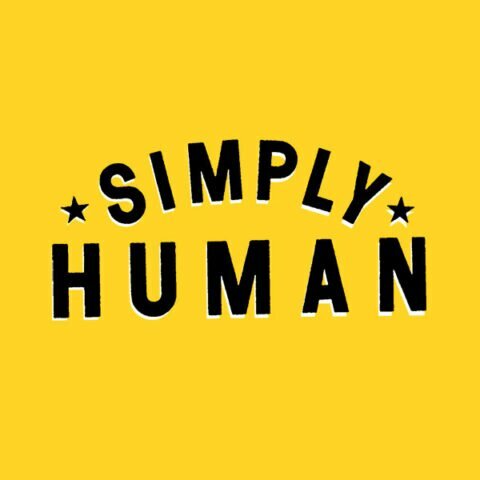 Want to simply be human? Mark Rogers Simply Human Lifestyle website and podcasts coach us in the Four Pillars of the Simply Human Lifestyle. 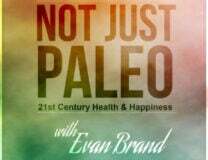 This podcast is a good primer for newcomers wanting to learn how to Eat, Sleep, Move, and Enjoy Life like real humans, not the over-stressed selves we want to leave behind. It’s a good interview for folks with kids too…. see my notes on children below. 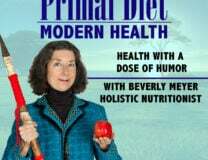 The link to play the show is at the bottom of this article, and on my Primal Diet – Modern Health iTunes page. A former football player and endurance athlete, Mark “overdid” his endurance work, and cautions that endurance sports are not healthy human exercise. Would a hunter gatherer have run or swum 25 miles looking for food? Consider whether CrossFit is a true human way to move. It’s competitive and intense – OK if you want to compete, but probably not historically sound movement for health. As a Certified Strength and Conditioning Coach, Mark asks us to “Stop Exercising; Start Moving”! What might a healthy human movement pattern be? Consider a movement pyramid with “Move Slowly Throughout the Day” at the bottom. Walking as much as possible. Or casually swim or cycle. Next up the pyramid is “Lift Heavy Things” and then “Be Mobile with a Good Range of Motion”. Top of the pyramid? Play! Which leads us to our next point…. Want to help develop your kid’s nervous system? The feet have extensive nerves to “read” the environment and quickly adapt to whatever input it finds. When we wear socks, the foot only feels “sock”, and misses textural and proprioceptive learning. Mark mentions the huge number of muscles and bones below the ankle. Our feet are meant to interact with the brain and nervous system, not be dangling while we sit, or twisted into tight shoes. Creating environments for his young kids to move their whole body is a passion of Mark’s. He suggests less furniture in a play area, and adding rings or trapeze and other physical play accessories. Moving as a human means jumping, rolling, hanging and crawling. Too bad… No bean bag chairs! A former vegan (for 18 months), Mark now knows that self-experimentation is a great way to make food choices once the basic Human diet is followed. Mark agrees with what my DVD, “The Diet For Human Beings” says. We do best on the foods we’ve eaten for eons, with no starchy grains or sugars. Animals, tubers, plants, some fruits and eggs…. Great food brings great results for body composition too. Check out his entertaining podcast style, and catch my interview on his show here. I spoke about weight gain for women, using Passion Flower for calming (here it is in alcohol or glycerite tincture form), Emotional Freedom Technique and much more from my own Simply Human perspective.